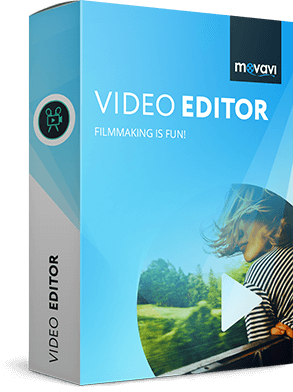 Already have Movavi Video Editor 5 or earlier? Update now and get all the coolest features! Is your Video Editor software up to date? Go to Help -> About to check which version of the program you are using. Update regularly to have access to newest features and improvements – we’ve been working hard to make your program experience smooth and enjoyable. Create videos with one of five themes, using specific music, titles, and transitions; add opening and end titles. Upgrade to version 15 and get an exclusive Blockbuster Gift Pack from the Movavi Effects Store for free! To learn more about the pack, watch the video right below. Built-in sample videos, backgrounds, and audio tracks are no longer downloaded automatically. Now you can choose just those media files or collections you like best. New Tools tab with instruments like Crop, Zoom, Rotate and Flip, etc.